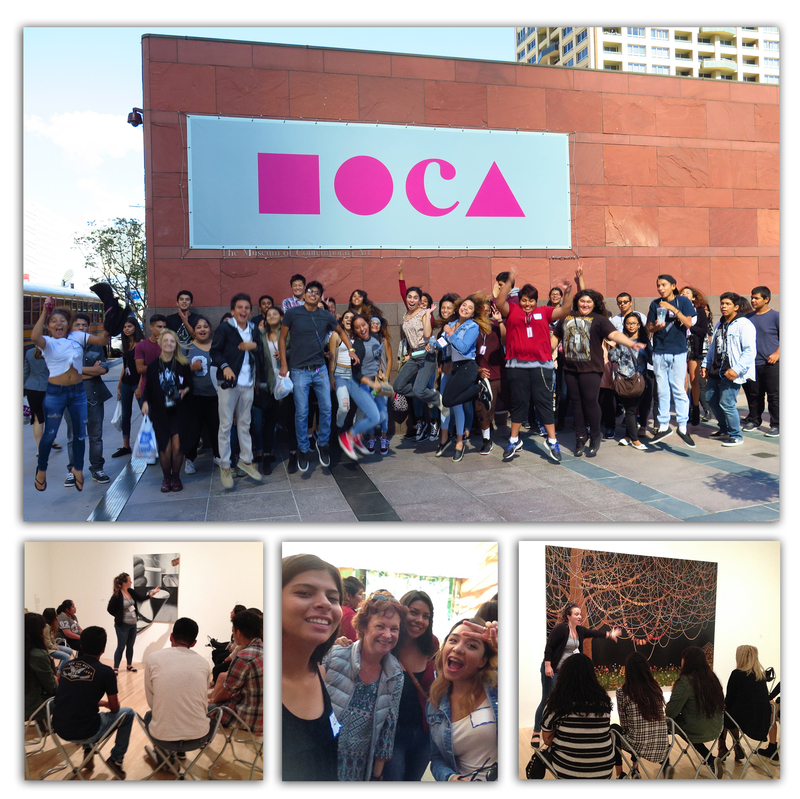 Trips to MOCA are always popular with our students, and this one was even better than usual: great exhibit from the collection, and enlightening conversations with the Educators. We did hit the traffic from hell getting downtown: hour and a half there, half hour back, but a lovely LA day with sunshine and silliness to keep everyone smiling. The top shot of everyone jumping was Ms. Prato’s idea – and a perfect finish to the day before we re-boarded the bus and rolled back to the Valley. The annual fall Lighthouse convening in Sacramento is always a terrific place to connect with and learn from other leading California Partnership Academies, and this year was no exception. AOAT’s team included seven representatives, and for the first time an administrator joined our contingent. Our Assistant Principal learned firsthand how the CPA grant program is administered by the state, and what requirements govern the academy model and are protected by Ed Code. Being part of LAUSD is the biggest challenge to AOAT because the large class sizes mandated by the District, and difficulty in maintaining pure classes, are diametrically opposed to the CPA structure. We came away inspired by our conversations with other academies from around California, and renewed our commitment to fight for our students by providing them with the best program possible. At long last, we have new laptops for our career tech classes! 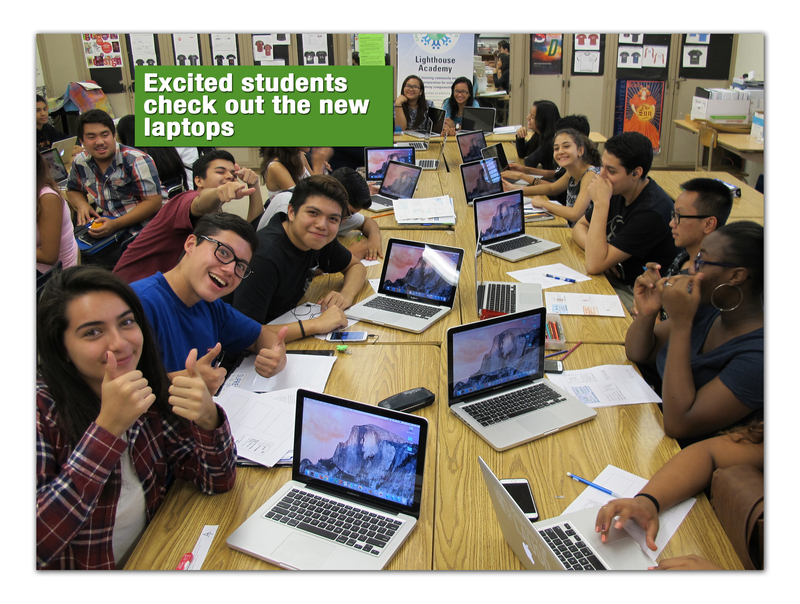 The federally-funded Perkins program provided money for 40 brand new Mac Books for students in Rosillo’s and Mercer’s digital imaging classes, and the excited faces above tell how long overdue this upgrade is! Last year we were able to move students up to Creative Suite 6, but many laptops were too old to run the newer software. Now we are ready to rock: students will be properly prepared for the professional world – and college challenges – when they graduate. Thank-you, Perkins!